The OnePlus 2 has a magnesium alloy frame around the edge, whereas the OnePlus One had a narrow plastic band and more of that grippy sandstone material on the sides. It appears that while touching this metal frame the home button becomes very unresponsive to taps from your other hand. When using it one-handed or with the device laying on a table, the home button works fine. You can also let the phone rest flat on your palm and the button will work. Just don't touch the sides... using this phone is like playing Operation. I updated the device in the video above to the latest version of the OS before testing just to make sure there wasn't already a fix. The problem still exists, so I have to think that if it's possible to fix in software, it's going to be a while. 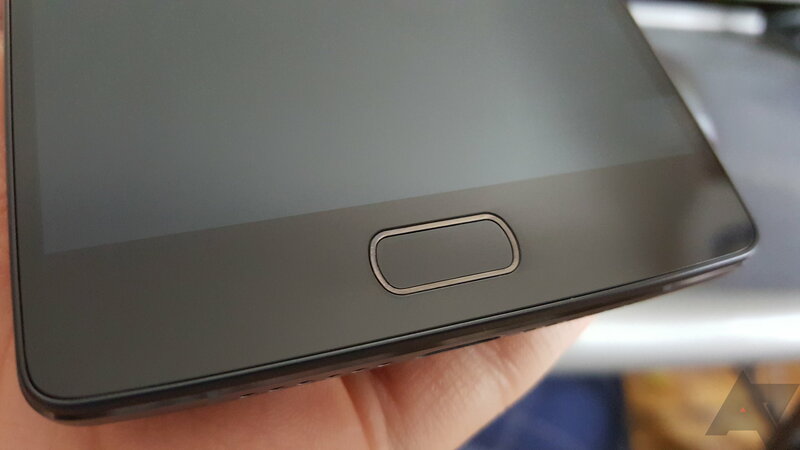 Luckily, the OnePlus 2 has optional on-screen buttons, so you can avoid using the finicky home button completely. It's annoying if you were hoping to save that screen real estate.